This unique tool helps you to pull your needle through tight stitching. It has two parts which are joined when not in use by a pair of magnets in the center. 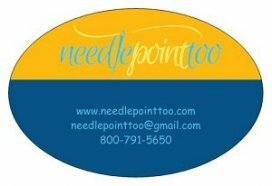 Place the needle in the tub, squeeze and For use pull free the side with the clear plastic tube. Position needle point inside the tug. Hook the other end to your scissors or chain. 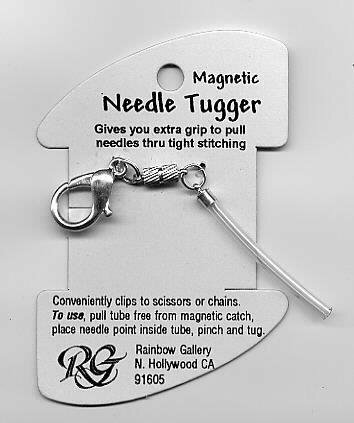 The magnet is also handy for picking up small needles.